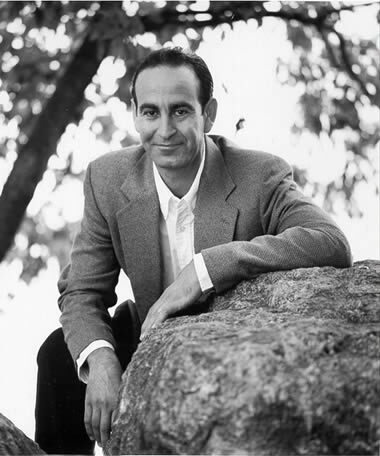 Widely regarded as the most prominent integrative cancer specialist in the United States, Dr. Keith Block has distilled nearly thirty years of clinical experience into the first book that gives patients a systematic, research-supported plan individualized to their disease as well as their clinical, biochemical, molecular and personal needs. In a setting that more resembles a medical spa, Dr. Block and his staff educate and teach patients to physically, nutritionally and emotionally battle their malignancies, optimize treatment and improve tolerance and recovery. In Life Over Cancer - which directly grew out of the Block Center’s clinical program – Dr. Block details how to customize a treatment plan, blending the best conventional approaches with personalized and scientifically-based, effective, complementary and nutraceutical therapies. 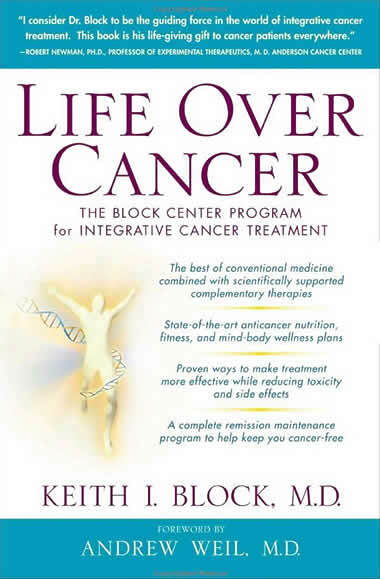 The book also provides summaries of the Block Center’s research studies, and offers inspiring case histories; how the Life Over Cancer program helped patients live long, full lives, beyond their original prognoses. Also included are "quick-start" maps to help you find the information you need right now and many case histories that will support and inspire you. Encouraging, compassionate, and authoritative, "Life Over Cancer" is the guide patients everywhere have been waiting for. Keith I. Block, M.D., is Director of Integrative Medical Education at the University of Illinois College of Medicine; Medical Director of the Block Center for Integrative Cancer Treatment in Evanston, Illinois: and founder and Scientific Director of the nonprofit Institute for Integrative Cancer Research and Education. He is also editor-in-chief of the peer-reviewed professional journal "Integrative Cancer Therapies" and a member of the National Cancer Institutes's Physician Data Query Complementary and Alternative Medicine (CAM) Editorial Board.